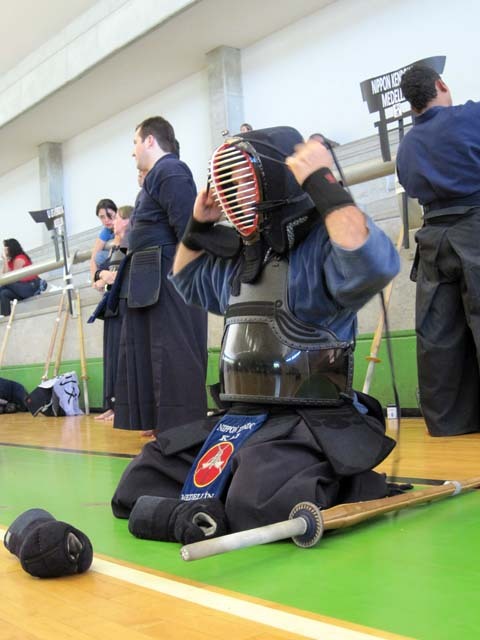 Kendo is Japanese modern martial art, formed in about 1920. It’s a sword fighting, and “kendo” literary means the way of sword. Even though it’s formed not so long ago, kendo has the techniques from traditional martial arts. 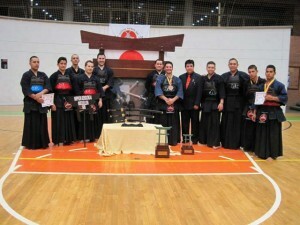 Kendo is introduced to all over the world. One of my customers, Mr.Juan from [W:Colombia], has been doing kendo for 8 years. I want to share the picture he sent me. It shows how they practice kendo. If you do kendo, please leave a comment! Japan, Rules! Love your country. You love Japan? 🙂 thanks for your comment.